I love the holiday season and just about everything that comes it. The lights, shopping, decorations, sweets and parties makes me one happy girl. 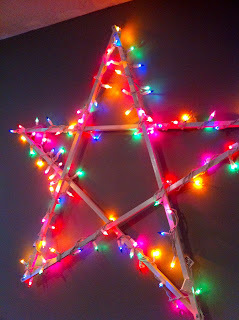 I wanted to spruce up my holiday decorations this year so I created a lighted star that would be perfect inside or outside. I completed this project for under $10 and less than 30 minutes. 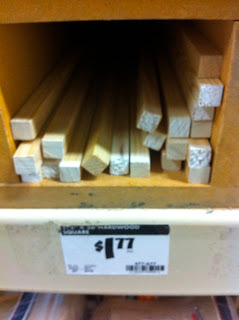 Begin by staining or painting your dowels to your desired look. Next, place you pieces in a star design, overlapping and rearranging until all 5 corners match up. 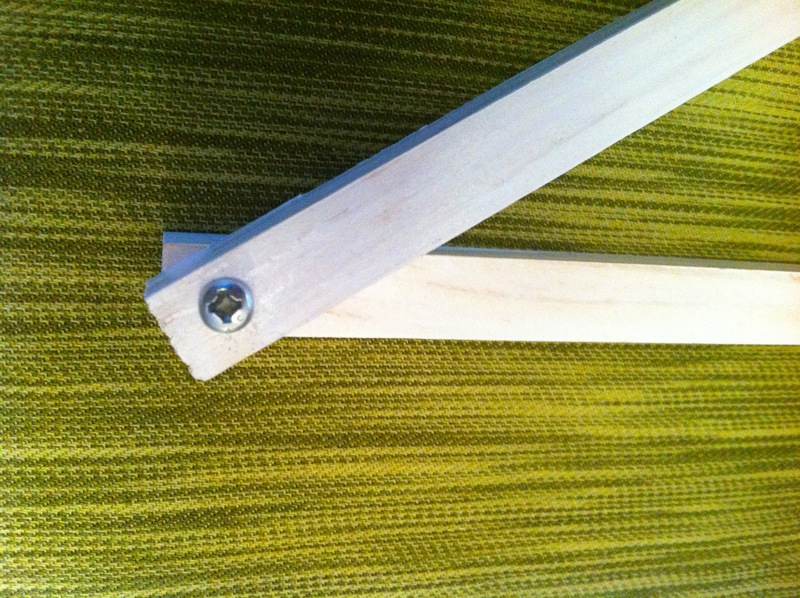 Then glue or screw together your dowels on the corners where they meet. Lastly, starting at one end, wrap your lights around your star, fully covering all sides. 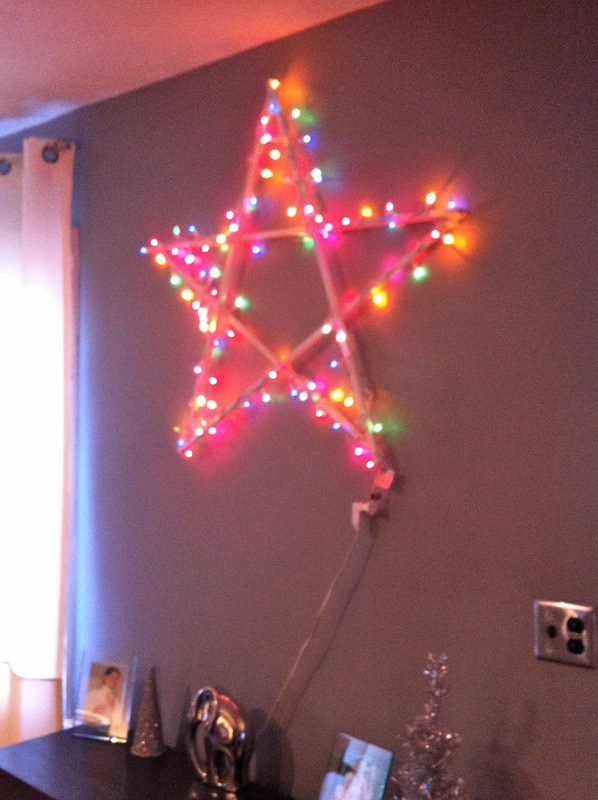 Plug-in to admire your easy project.